Supports your neck in its most natural position for back and side sleepers it helps relieve tension headaches, neck discomfort, snoring. 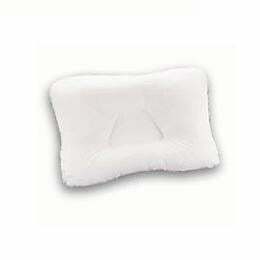 trapezoid-shaped center cradles head and gives proper neck support antimicrobial fiber. Dimensions : 24" x 16"